This absolute gas pressure sensor plugs into an analog input and measures pressure from 20 kPa to 400 kPa. 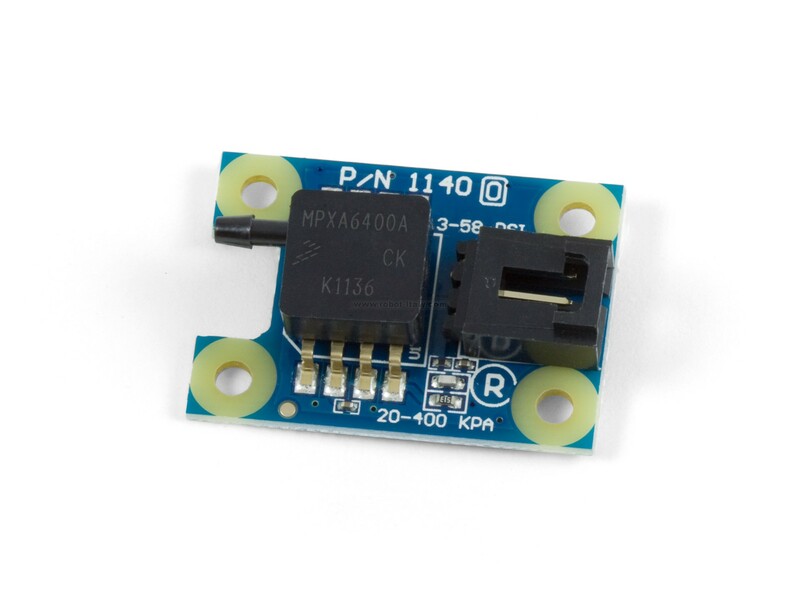 The 1140 Absolute Pressure Sensor is a gas pressure sensor that measures the absolute pressure of its environment. It can measure pressures from 20 kPa to 400 kPa. This sensor is designed to measure the pressure of clean, non-condensing air. Contact with moist air (i.e, human breath), dusty air, or other gases can damage the sensor. This absolute gas pressure sensor plugs into an analog input and measures pressure from 15 kPa to 115 kPa.